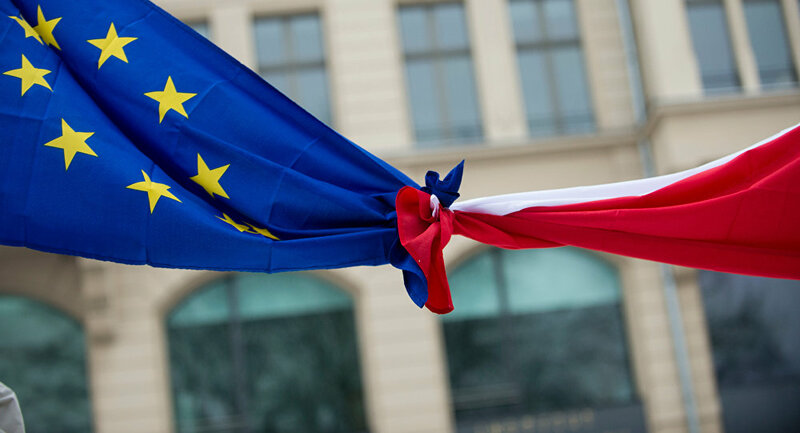 The head of the Polish Ministry of Foreign Affairs is slated to meet on May 3 in Brussels with the Vice-President of the European Commission, Frances Timmermans. The politicians are expected to discuss the rule of law in Poland. Warsaw will oppose any EU budget plan that doesn't balance the needs of its various member states, Poland's deputy foreign minister Konrad Szymanski said. "The way to the full compromise over the EU budget is still very long," Konrad Szymanski told reporters in Warsaw. The meeting of the head of the Ministry of Foreign Affairs Jacek Czaputowicz with the Deputy Head of the European Commission Frans Timmermans is part of the process aimed at protecting Polish reforms while at the same time overcoming unnecessary tensions with the EU, according to Poland's deputy foreign minister. — PAP (@PAPinformacje) 2 мая 2018 г. The European Commission earlier proposed its new multi-year financial plan, including provisions that could result in cash being withheld from Poland over its treatment of the judiciary. The budget conceives 187.37 billion euros for single market, innovation and digital issues, 442.412 billion euros for adherence and values, 378.92 billion euros for natural resources and environment, 34.902 billion euros for migration and border management, 27.515 billion euros for security and defense, 123.002 billion euros for domestic and international policy as well as 85.287 billion euros for European Public Administration. In December 2017, the EC proposed to the EU that Article 7(1) of the Treaty on European Union be triggered over the risk of Poland's breach of the rule of law. Triggering the article would mean starting procedures that could result in Poland losing EU voting rights. The commission's commitment to act was reaffirmed by its First Vice-President Frans Timmermans on February 27.